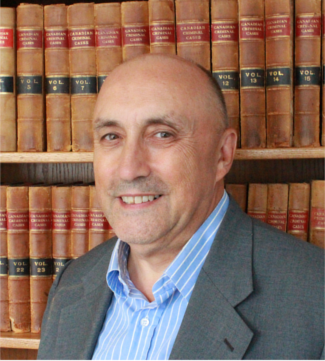 Mr Butcher began his career as a prosecutor with the Department of Justice in 1985, practised as an associate and then partner at a mid sized regional law firm from 1989 until 2003, and joined what is now Wilson Butcher in 2003. While a prosecutor, he had conduct of hundreds of minor and a small number of major cases. He has defended a significant number of serious criminal offences, including murder, sexual assault and drug conspiracies. He was counsel in R. v. Stone  2 SCR 290, one of the leading cases on automatism, and R. v. Lavallee, Rackel and Heintz 2002 SCC 61, in which the Supreme Court of Canada found that the Criminal Code provisions respecting the search of law offices was unconstitutional. He has represented hundreds of police officers facing allegations of professional or criminal misconduct and civil litigation. He is now regularly retained by police agencies in a wide range of matters before the courts and administrative tribunals, including inquests. He has also acted as counsel for participants in a wide range of public inquiries, including the RCMP Public Complaints Commission into the policing of the APEC Conference in 1997, the BC Utilities Commission Public review of the Kemano Completion Project, the Braidwood Inquiry into the death of Robert Dziekanski, the Oppal Missing Women’s Inquiry and the Cohen Fraser Sockeye Inquiry. He was appointed Queen’s Counsel in 2010. He has been a frequent speaker at legal and industry conferences, and for more than a decade taught the Advanced Advocacy Course at the University of British Columbia, Faculty of Law.